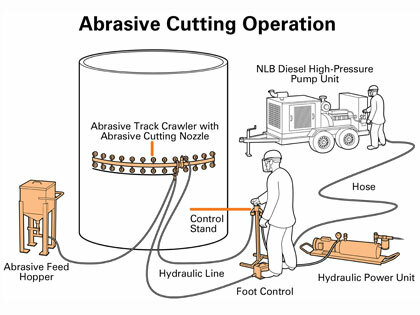 With an abrasive cutting system from NLB, you can slice through concrete with rebar, cut inspection openings in petrochemical tanks, and cut up composites and many other hard materials. 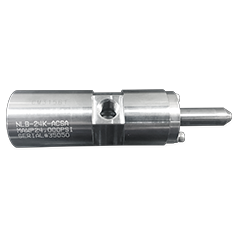 An automated NLB system includes a self-focusing cutting head (24,000 or 40,000 psi, 1,680 or 2,800 bar), pipe cutter or track crawler, and hydraulic or pneumatic power unit with control stand. A hopper with metering discs to feed the abrasive are also required.